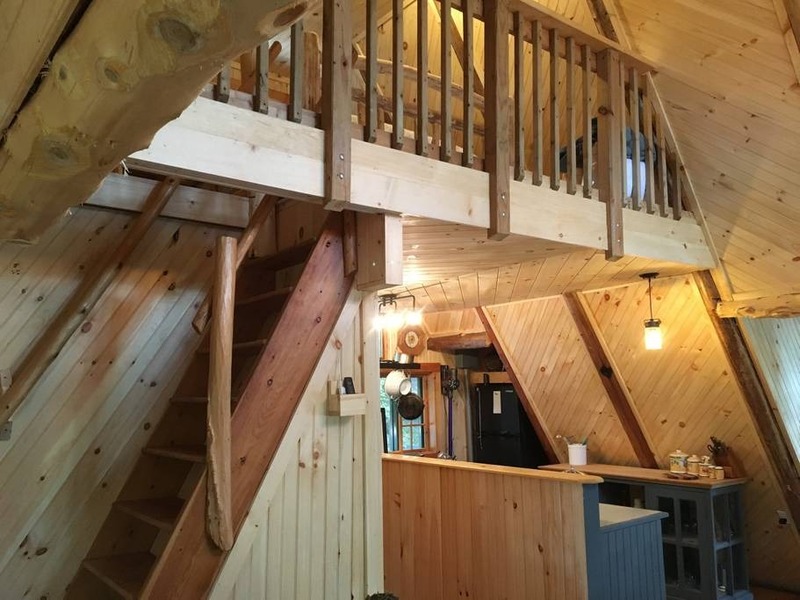 Fully renovated in the summer of 2018, our riverside Adirondack cabin rental is very clean and supplied with electric power from a solar and battery storage system with automatic generator back up. 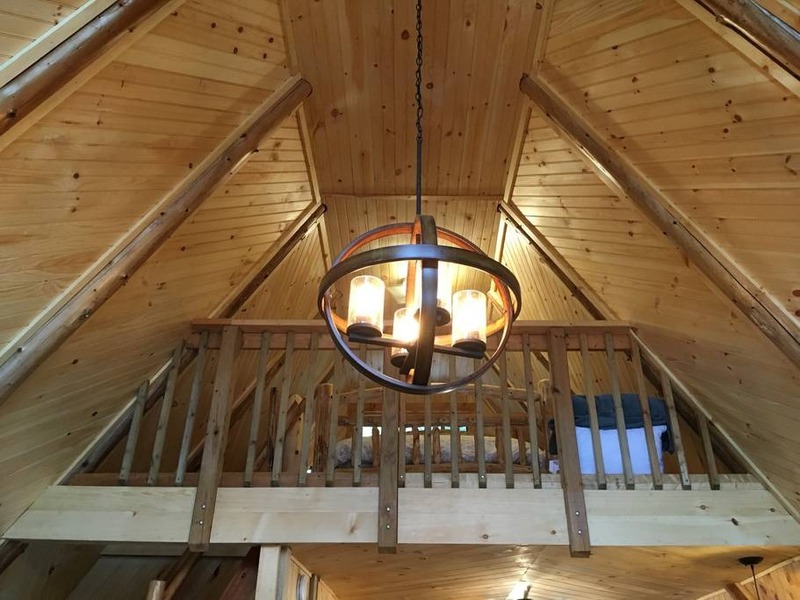 The cabin interior is decorated with a flair for Adirondack Style and all the comforts of home. 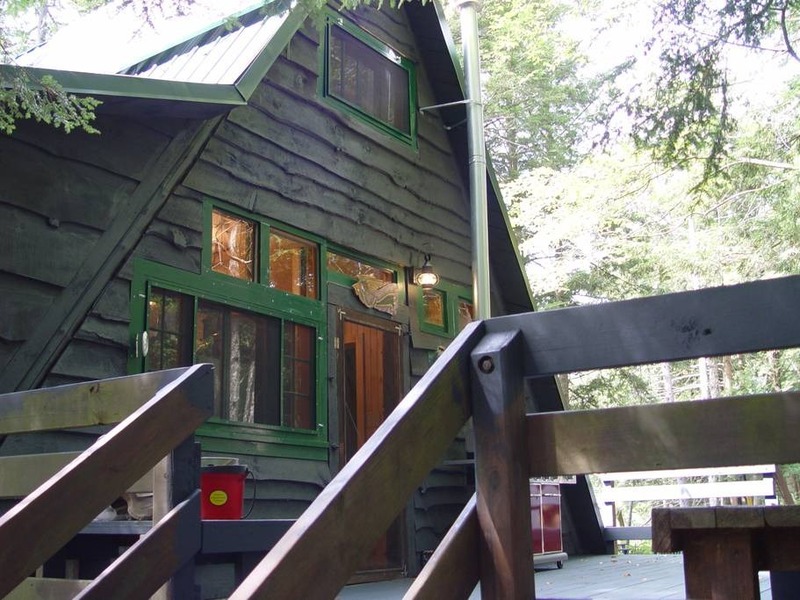 There is a bathroom, kitchen, dining and living room, large deck open to the forest and a riverside screened in porch. The deck offers ample seating and a gas grill. 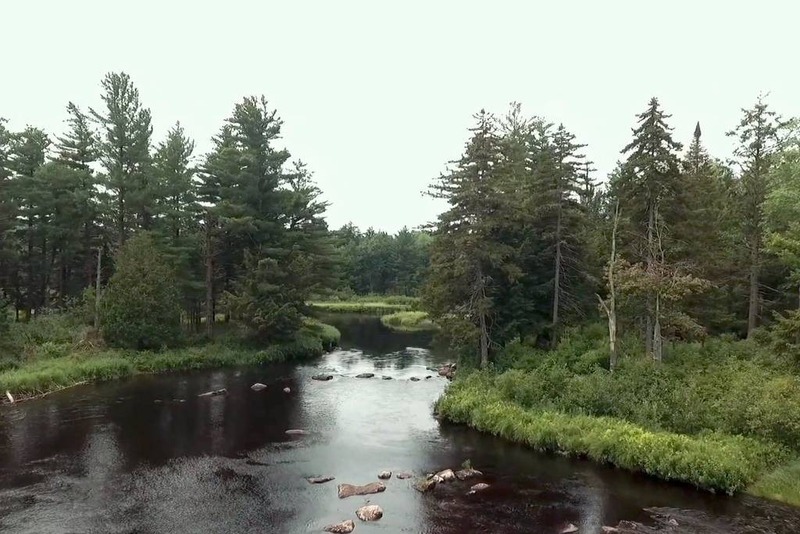 Enjoy our 80 acre parcel in a perfectly private setting with many interesting birds, huge trees, mosses, ferns, mushrooms and river creatures like beaver, trout and otter. 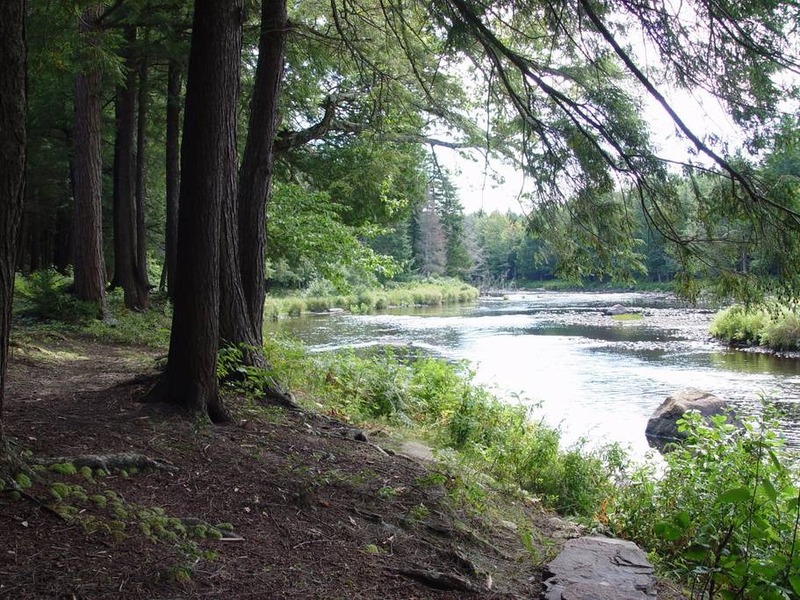 There are over three miles of marked private trails for hiking, skiing, or snow-shoeing along the river and with loops into the woods. 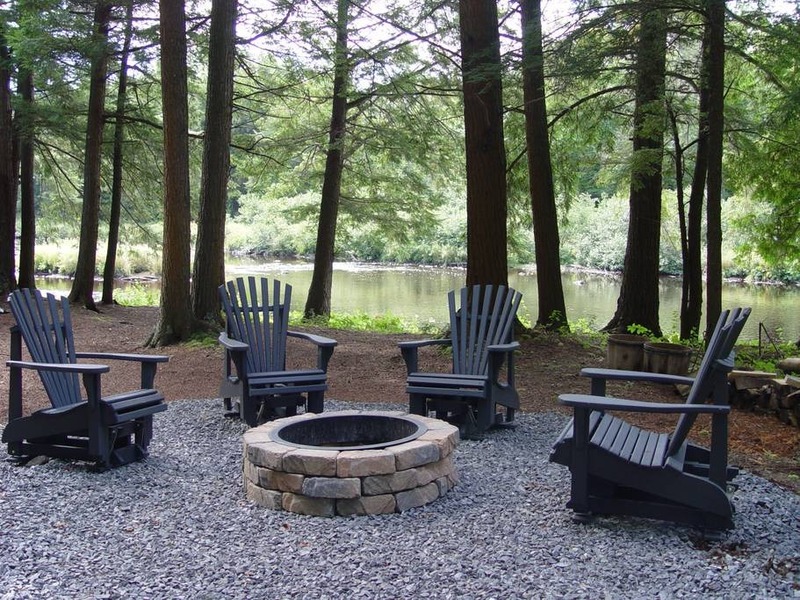 We also offer you a lovely fire pit near the cabin stocked with firewood and surrounded by comfortable Adirondack gliding chairs. 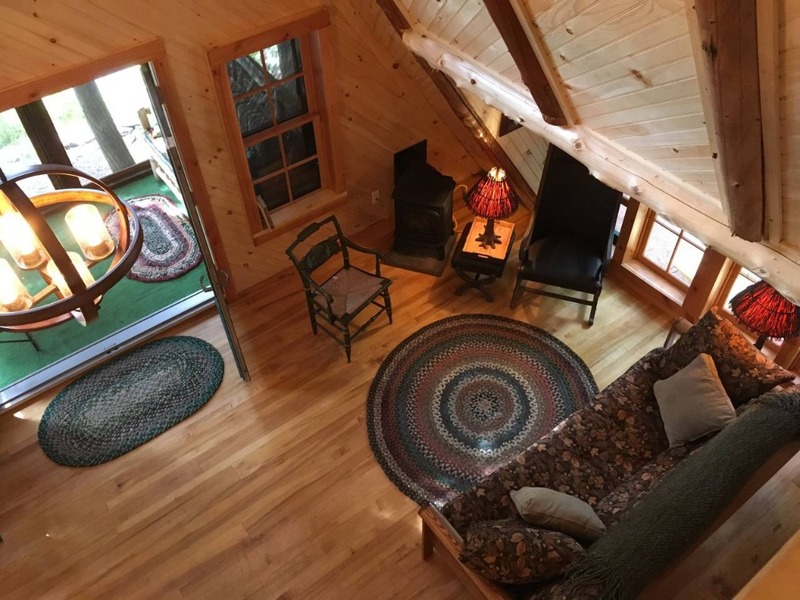 Our Adirondack Style cabin accommodates 4 guests comfortably year round. The living room has a very comfortable futon couch which sleeps two people. 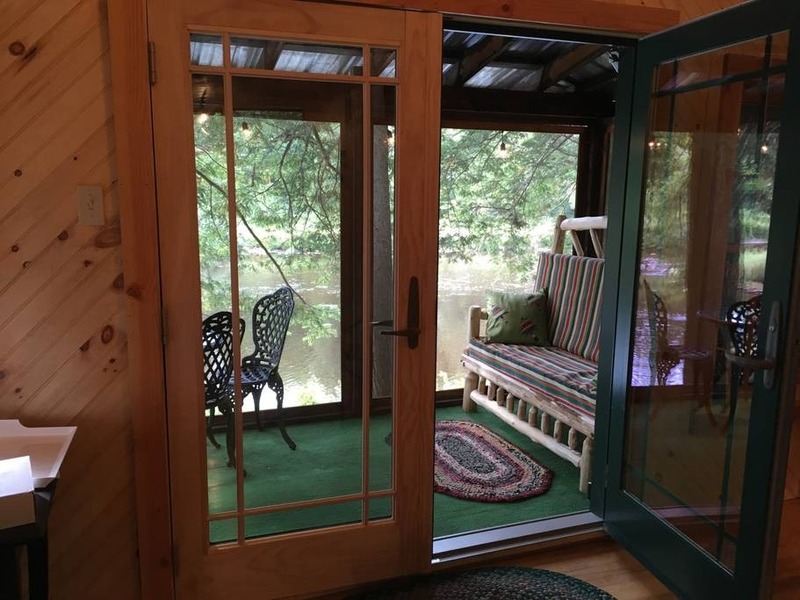 A screened riverside porch just a few feet from the meandering river is equipped with a cedar love seat that can easily be transformed into a double bed for those who would enjoy sleeping on a private screened porch close to nature. 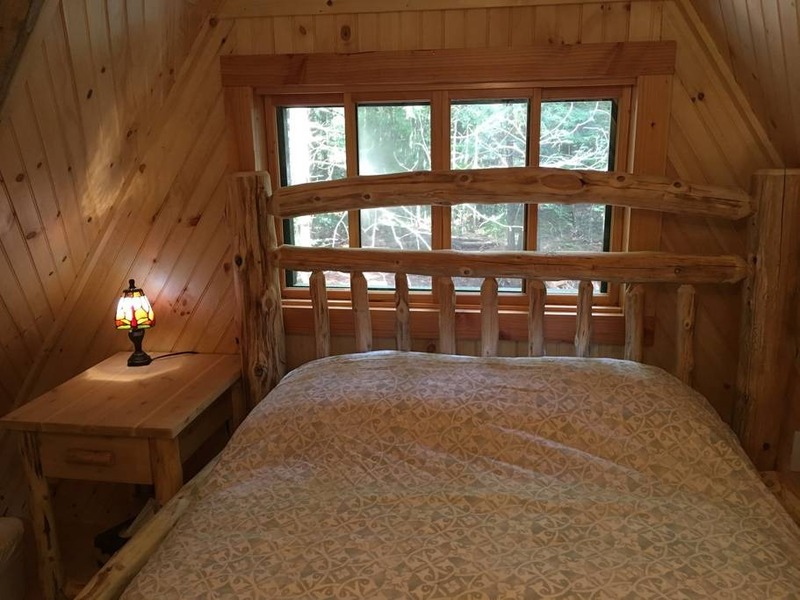 There is also a loft with a double cedar log bed with a new comfy mattress that sleeps two. Available year round. 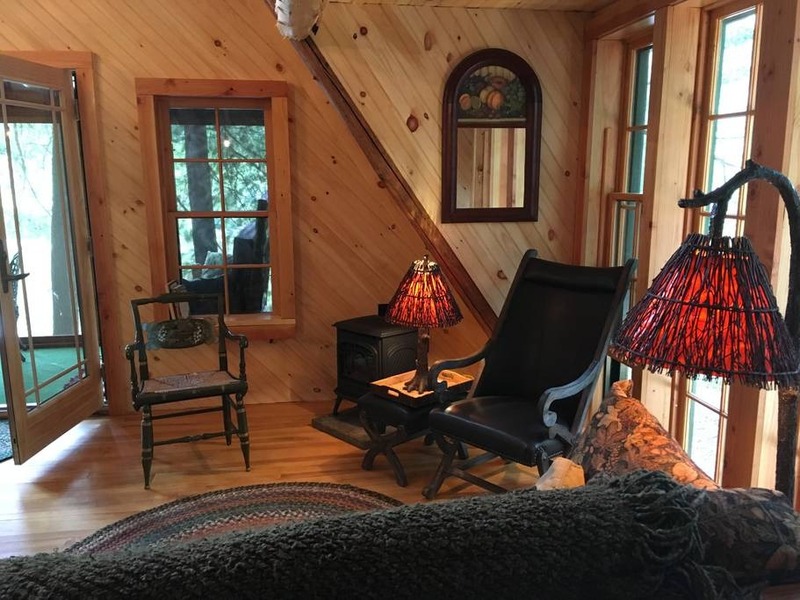 Our cozy Adirondack cabin rental is located in the Northwest corner of the Adirondack Park in St. Lawrence County, NY. 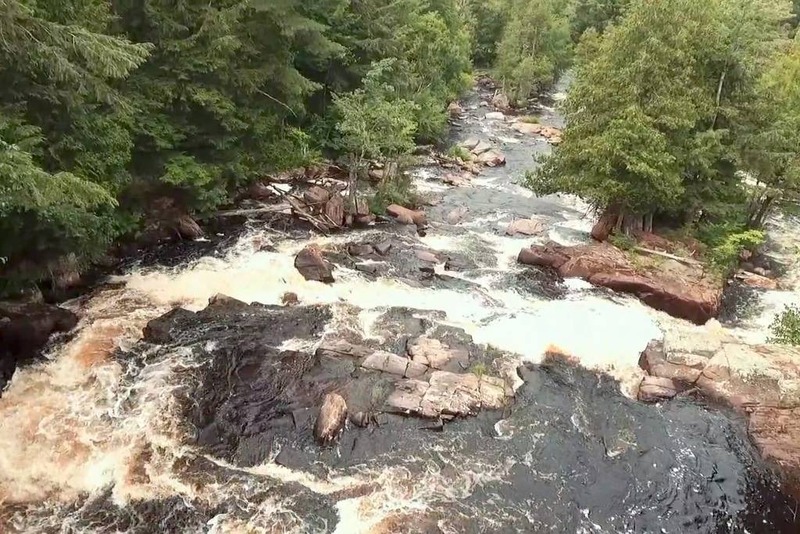 With Potsdam only 15 miles away you have the best of both the civilized and the natural world when staying at our cabin rentals. 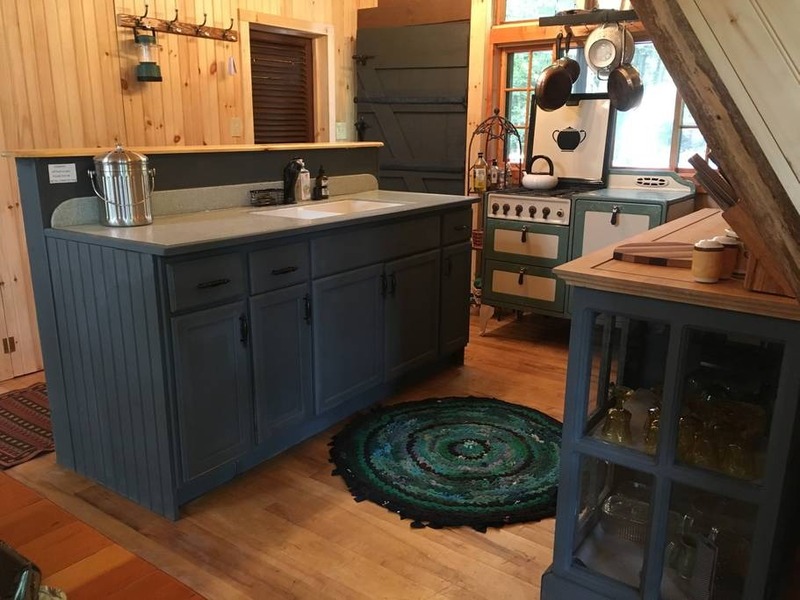 Fully renovated in the summer of 2018, our riverside vacation cabin rental is very clean and supplied with electric power from a solar and battery storage system with automatic generator back up. 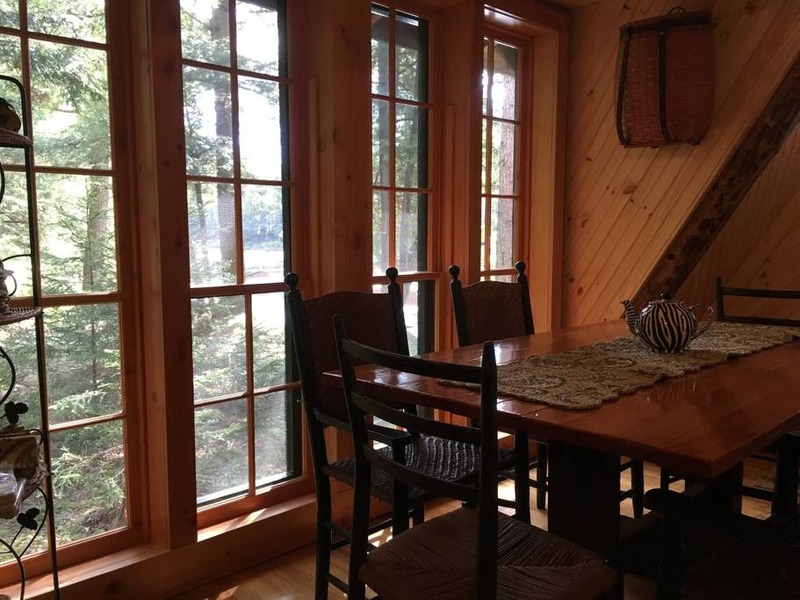 The cabin interior is decorated with a flair for Adirondack Style and all the comforts of home. 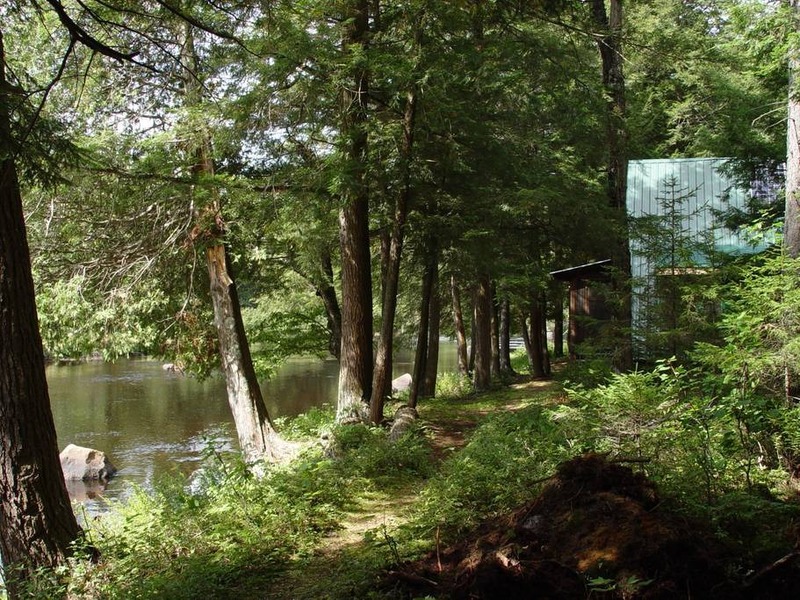 There is a bathroom, kitchen, dining and living room, large deck open to the forest and a riverside screened in porch. The deck offers ample seating and a gas grill. 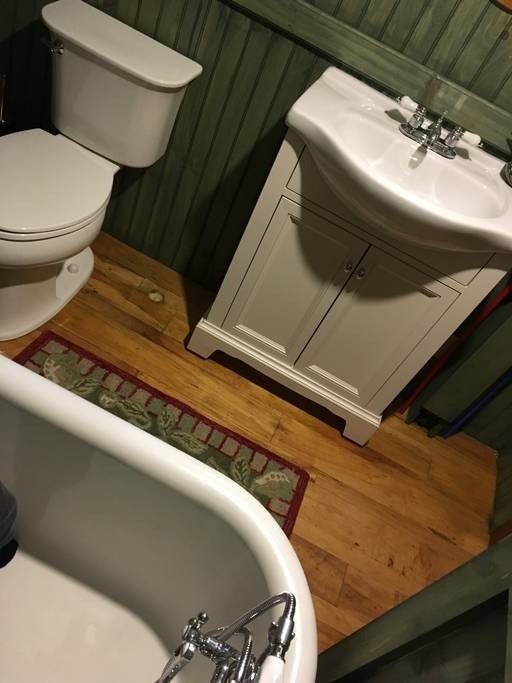 Please remove shoes before entering if it’s muddy out. 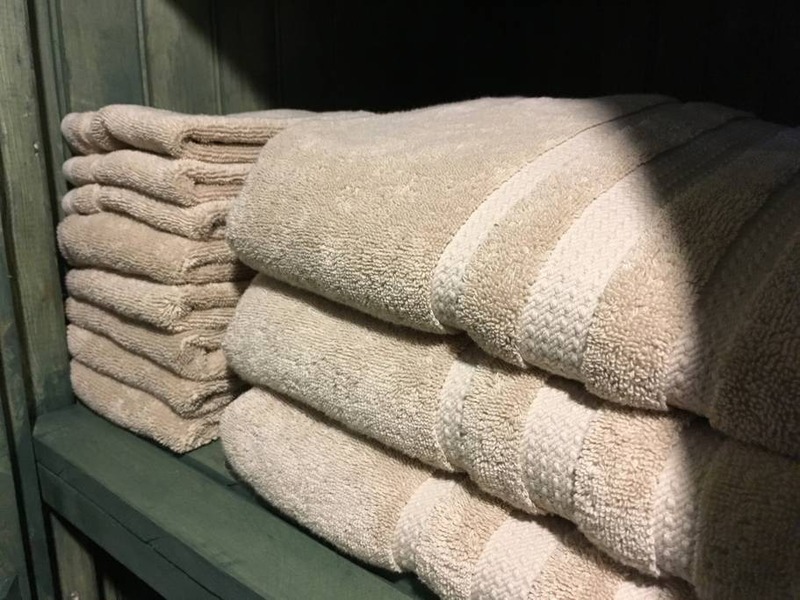 Before you leave please put used sheets and towels in the laundry basket in bathroom. Also clean dirty dishes and grill. 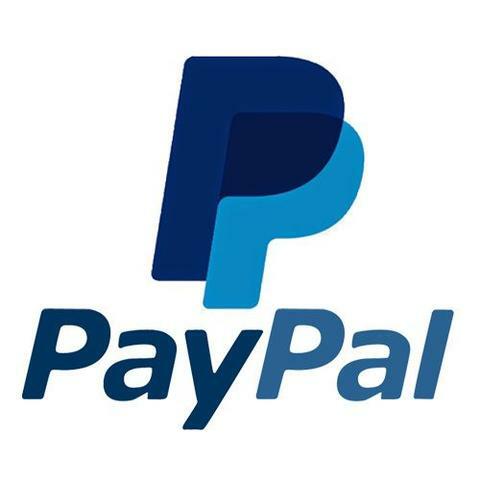 If you would prefer to pay an extra cleaning fee than to take care of these tasks please let me know. Must climb stairs - The stairs to the loft are steep and not suitable for young children or those with mobility limitations. Request a stair gate if bringing a toddler.